Smart History delivers the highest quality content and interpretations in bespoke mobile packages, virtual environments and onsite installations. We use new and emerging technologies. Our store is the official retailer to the University of St Andrews.Our aim is to provide a broad range of the highest quality branded merchandise to an international family of alumni, students, staff and visitors. SMRU Consulting is the world’s leading marine mammal consultancy with an unrivalled reputation for providing innovative, robust, and environmentally sound solutions for clients active in the marine environment. We operate from locations in Scotland, Vancouver, Seattle and Hong Kong. St Andrews Lean Consulting has a rich heritage of working for over a decade with the University of St Andrews to eliminate non-value adding activities. The knowledge and skill developed over this time through over 50 successful projects delivering savings of c. £10m is now being brought to Higher Education Institutes around the world. 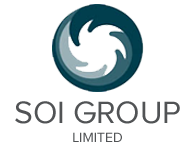 SOI Ltd. aims to facilitate the interactions of commercial interests and the expertise and facilities of the University of St Andrews.